The Environmental Protection Agency (EPA) announced Monday that greenhouse gases are a danger to public health and welfare. Congressional Republicans have called on the EPA to withdraw its proposal considering the recently released Climategate e-mails. 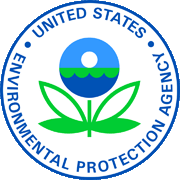 An endangerment finding allows the EPA to use the federal Clean Air Act to regulate carbon-dioxide emissions, which are produced whenever fossil fuel is burned. Under that law, the EPA could require emitters of as little as 250 tons of carbon dioxide per year to install new technology to curb their emissions starting as soon as 2012. ...The oil industry has warned that climate legislation could force some U.S. refineries to shut down, because importing gasoline from countries without emission caps could be cheaper than making the gasoline on domestic soil.